Mumbai, The Bollywood movie, ‘Dangal’ of Bollywood super star, Amir Khan became the first Bollywood movie, which earned over 1000 crore rupees. This movie was also dubbed in the Chinese language and it was launched on the Chinese box office and it earned about 300 crore in just 9 days and this movie crossed the figure of 1000 crore and became the first Bollywood movie. 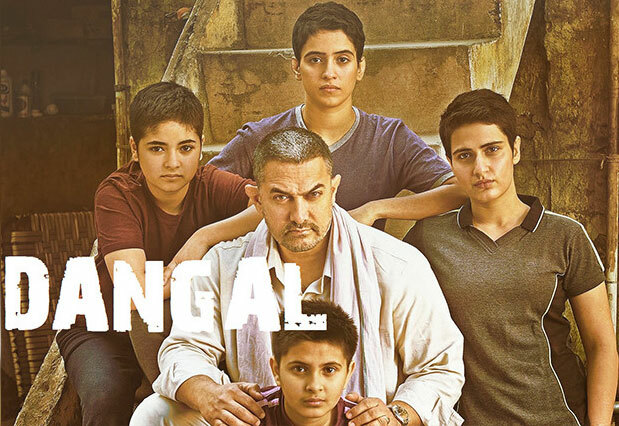 ‘Dangal’ was dubbed in the Chinese language and it was released in the cinema houses in China on 5 May and the Chinese film viewers liked this movie and this movie got tremendous success in the Chinese cinema houses. Now this movie has started making new recorded after one another. This movie has earned about 87 crore and 66 lac and it made the unique record on the Chinese box office. This movie has earned about 1045 crore on the cinema houses in India and China and it entered in the 1000 crore club and it became the first movie of the Bollywood.